Hey, this is Matt and welcome to Video 3, where we’re gonna start off discussing the “Art & Science of Methadone Tapering.” So, tapering is lowering your dosage over time to avoid shock to the brain and body. So, one thing to know as well is, it’s typically pretty easy for most individuals to taper from a high dosage to a moderate dosage. For example, somebody going from a hundred milligrams down to 60 milligrams typically has a pretty easy time with that, and it’s typically still fairly easy for the majority of individuals to also taper from a moderate dose. It’s down to something that I call your “Personal Threshold” or your PT. So, and then it’s usually very difficult to taper from your personal threshold down to zero milligrams. But that’s where you’re going to use the “Strategic Biohacking Methods” I’m going to teach you about. So, say, for instance, somebody has been tapering off of a hundred milligrams of methadone, and they’ve been on either a slow or a kind of slow taper. Let’s say for instance, they get down all the way to 30 milligrams with no problems. But then for some reason, whenever they try to taper below 30 milligrams even if they go extremely slow, then it starts to get very difficult for them. So, for that person, 30 milligrams would be their unique personal threshold. It’s personal because it’s different for everybody. Another person coming off a hundred milligrams of methadone on a taper might get all the way down to 15 milligrams before it becomes very difficult for them to go any lower. And another person might only get down to 50 milligrams or higher before it becomes difficult. So, that is usually where the problem is, for people coming off methadone. It’s typically pretty simple until they reach their personal threshold. And at that point no matter what they do it seems that it’s just very difficult. So, that’s why this webinar is going to be much different than any other things, you’ve ever learned before. And it’ll help you not only make that personal threshold a lower milligram. 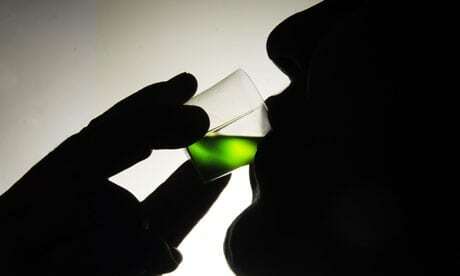 But it’ll also help you get from the personal threshold, all the way down to jumping off methadone much easier. Another advanced tapering practice is to try to jump off from five milligrams, four milligrams, three, two or one. That is a very effective way. When people jump off from you know ten milligrams and higher, it’s typically a lot harder than if they’re jumping off from five milligrams or lower. So, at the end of the taper, whether you’re jumping off whatever milligram you’re jumping off at, hopefully, it’s five milligrams or lower, but normally you’re dosing every single day. So, at this point, I’m hoping that you have take-home medications. Because then with the take-home medications, what you can do is, and talk to your doctor about this… again this is all just informational use, not medical advice… but what you can do with take-homes towards the end of the taper, once you get to that low milligram that you’re ready to jump from, you switch to dosing every 48 hours instead of every 24 hours. And you do that for one to two weeks, and then you go to dose every 72 hours. So, then you do that for nine to twelve days. So, by switching your dosing protocol from daily to every other day, for one to two weeks, and then from there switching from every other day, to every third day for about you know week and a half to two weeks, by doing that, it helps your body have a much easier time coming off the methadone. So, the Key 3 are supplements, nutrition, and exercise. These things right here, just these Key 3 alone using those advanced tapering tactics, the combination of all this together is going to make the process of tapering off methadone at one time, at one point you might have thought it was impossible. Once you start to implement all these different things, all of a sudden it becomes so much easier than you ever thought. So, supplements are things like amino acids, herbs, vitamins, and minerals, and there’s many other nutrients as well that can help. I’m gonna go deep into all of these the best ones. So, here are the best taper supplements. So, the amino acids, what they do is they increase your brain’s neurotransmitters. When you’re tapering off methadone and transitioning off of it completely, your brain is at a neurotransmitter deficiency. You’re going to be extremely deficient in dopamine, endorphins, and probably GABA and serotonin as well. So, all these different amino acids can help you produce different neurotransmitters. So, an amino blend… you get a combination amino acid blend, that can help depending on the blend. It can help you increase many different neurotransmitters. DLPA increases dopamine and endorphins. L-Theanine increases dopamine, GABA, and serotonin. NAC helps to helps you to reduce cravings, and it works to increase your natural glutathione, which is the body’s master antioxidant, and it also helps to reduce anxiety. GABA helps to increase GABA, which decreases anxiety. L-Taurine and L-Glutamine can both lead to indirectly increasing GABA levels. And then another class of important supplements are called Adaptogens. So, these are herbs to help your body adapt to physical, mental, and emotional as well as environmental stress. So, they help your body stabilize, a lot of the adaptogens also produce increases in energy and stamina. Which is very important, because when you’re tapering off methadone, one of the main symptoms is extreme exhaustion and fatigue, and it’s harder to deal with stress. So, these adaptogens can help you get more energy… help you normalize all your body symptoms. They pretty much facilitate homeostasis in your body. Kind of return it to its baseline, healthy normal levels. So, here’s the best adaptogens: Rhodiola Rosea, Maca Root, Panax Ginseng, Deer Antler, Ashwagandha, Mucuna Pruriens, and Tulsi. Mucuna Pruriens has something in it called L-Dopa, which when you consume it, that converts to dopamine in the brain. Mucuna Pruriens is very important and then Rhodiola and Ginseng and Maca all give you tons and tons of energy as does Deer Antler. Ashwagandha is good for energy as well, and it can also help with worrisome thoughts and anxiety, as can Tulsi. And then there’s the class of “Other Herbs.” So these are non-Adaptogen herbs. And they could be Western herbs or Eastern herbs, maybe Chinese or Ayurvedic. But these are not adaptogens. Sorry the Reishi Mushroom in this category, should have been up in the adaptogens. That’s a really good adaptogen for making you feel much more pleasure. Kind of activates this relaxation and this kind of spiritual bliss. But Passionflower increases serotonin, GABA, and dopamine. Magnolia Bark increases GABA as does Chamomile and Valerian Root. Ginger Root is very helpful for pain relief and for stomach issues. Passionflower again is also helpful for the stomach issues from tapering. Lemon Balm can increase GABA, and it’s also good for your stomach, and for your immune system. Turmeric is very good for healing the liver and inflammation. And Milk Thistle is really good for healing the liver as well. So, here are the most important in this category. B-Complex which helps with energy production and reducing stress. Vitamin C which helps with detoxifying the body. And a Calcium/Magnesium/Zinc combination supplement. The Calcium and Magnesium are very good relaxation minerals, help with muscle relaxation and mental relaxation, and sleep. And then the Zinc is a precursor to testosterone, so it helps to improve your mood. And then Vitamin D3 is very essential to because it can help with sleep, with pain relief, and with your mood. Another important category is the “Omega-3” long-chain fatty acids. So, the best supplements in this category are either Cold-Pressed Fish Oil or Cold-Pressed Krill Oil. The reason you want to get cold-pressed is because when you heat press one of these oils, it reduces… takes away 90% of the nutrients. But when you cold press it preserves 90% of the nutrients in there. So, this could be any number of things such as CBD Oil — very powerful for anxiety and depression and pain relief and mood and sleep. 5-HTP increases serotonin, so it’s really good for anxiety, depression, and sleep. Melatonin is great for helping you sleep. Liposomal Glutathione is great for energy production and improving your mood and reducing cravings. And then SAM-e — really good for improving your mood, your energy, and some people even get pain relief from it. Let me just get to the point where you can see all of it. Okay, so this protocol, look at this note at the bottom. This is very important, based on, what medications you may be taking, what health conditions you may have, etc., some of these supplements may be contraindicated. So, for instance, “mucuna pruriens contraindications” or “b-complex contraindications”, or if you’re on specific medications, maybe you’re on Zoloft, or Celexa, or clonazepam. And you could type in the contraindications for the medications you’re on and see if any of these supplements come up. But again… it could also be due to a health condition. Maybe you have fibromyalgia, or maybe you have multiple sclerosis or something else where certain supplements are contraindicated with that either mental or physical health issue. You always want to go to your doctor too, just to make sure to be very safe. But here is the Ultimate Tapering Supplement Protocol that works the best for the most amount of people. So, as you can see, it’s a pretty good amount of supplements. Either get your supplements from Amazon Prime, or Amazon rather, or Whole Foods or the Vitamin Shoppe, or another natural grocery store or natural store, that’s got good brands. You don’t want to buy your supplements from Target or Walmart, or Walgreens, or any of those types of stores. You want to go to the Vitamin Shoppe, get some good stuff on Amazon with good reviews, Whole Foods or another type of store in that category. So, as you can see right here, it shows you exactly what supplements to take. It shows you when to take them, whether to take them with or without food, and it tells you the exact dosages you’re going to need. So, this protocol right here, if you’re using it to taper off methadone, this is going to be absolutely the most powerful, the most beneficial for the highest amount of people. And then to learn more about this subject, this webinar is so comprehensive and detailed, that this alone, this information alone is going to be plenty to help you gain your freedom, from methadone dependence. But if you want to learn more about this, then you can read the book, End Your Addiction Now, by Dr. Charles Gant. And The Mood Cure, by Julia Ross. Those are going to teach you all about supplements for addiction. They’re gonna go real deep into this stuff, it’s just, if you’re like me and like to learn like to read books, or listen to audiobooks. I’m not sure if these are on audiobooks, but these are great resources for addiction supplements or dependent, opioid dependence supplements. And then Number 2 of the Key 3 is nutrition. So, this is, we’re talking about eating healthily, and also eating specific foods and beverages that are going to help while you’re tapering off methadone. Main guidelines are, you’re going to want to focus on eating a whole food diet at minimum. And if you can afford it, I highly recommend eating an organic whole food diet. Whole foods are things like chicken, bananas, rice, broccoli, all that kind of stuff. And then non-whole foods would be things like, you know a box of macaroni or a bag of potato chips or doughnuts, or maybe some ranch dressing. Those are things that have been modified by man, typically have either refined it or added chemicals or both. You also want to create the sleep habit of getting to bed before 10:30 p.m. on a regular basis. If you do that, if you fall asleep between 9:00 and 10:30, that’s gonna be the best for tapering off methadone. And then during this tapering nutritional protocol, you also want to limit certain things. So, as much as possible try to limit refined and processed sugars and carbs, trans fats, boxed foods, gluten, dairy, and grains. Now, of course, you can still eat some of this stuff, but just try to limit it. Try to not eat as much of it. Try to eat mostly whole foods that are things like good sources of protein, you know meats, seafoods, eggs, lots of fruits and veggies and healthy fats which, I’m gonna go deeper into. You want to eat lots of plants. Eat plenty of leafy greens, raw vegetables, cooked vegetables, fruits, sweet potatoes, purple sweet potatoes, legumes, nuts, and seeds. If you eat a lot of these things, your body’s going to start to feel better than ever. And it’s gonna help you have more energy and mental health when you’re tapering off methadone. Another big focus in this protocol is a focus on protein. So, you want to consume at bare minimum 20 to 30 grams of protein or more two to four times a day. So, what protein does is, the building blocks of protein are amino acids. And amino acids increase the very important neurotransmitters that are very paramount for your mood and behavior. So, great protein food sources are things like meat, poultry and eggs and seafood. And if you can, I know it’s a little more expensive, but really try to focus on free-range, grass-fed, pastured or wild-caught stuff. Because if you don’t get these, then there’s probably going to be antibiotics, hormones and other things in these types of protein sources that are gonna be toxins in your body. And you’re trying to eat very clean and take really good clean supplements because you want your body to be running optimally. So, if you’re vegetarian you just want to focus on eating plenty of eggs, legumes, quinoa, cottage cheese and other non-meat or animal flesh sources of protein. And if you’re vegan, obviously you’ll have to leave out the eggs and cottage cheese. But you can focus on you know lots of legumes, quinoa and other high protein sources of plant foods. They even have plant protein powders, are really good to help you get that protein. And I also recommend taking a B-12 Sublingual supplement daily if you are vegan because vegans are typically deficient in that, and that’s going to be something you really want to have plenty of when you’re tapering off methadone because it helps with energy and stress and mood. And then you really want to focus on consuming plenty of healthy fats. So, the healthiest fats are things like extra virgin olive oil and extra virgin coconut oil, grass-fed butter, ghee, flaxseed oil, hemp seed oil, primrose oil, avocados, nuts, seeds, and fatty fish. These are the, you know there’s plenty of bad fats like things like bad fats could be in margarine or ice cream, boxed foods, ranch, like a kind of over-the-counter, ranch dressing that you get. That’s like one of the non-organic brands, those have bad fats in there, and you can eat some of those, but just get most of your fats from these choices, I gave you up here. So, again back to that phenomenon of “Biochemical Individuality,” please look at this note at the bottom. So, even though this is a great nutritional protocol for most people tapering off methadone, due to your individual biochemical profile, you’re gonna have to make learning how to eat for your needs very specific. So, I would recommend experimenting, researching, keeping a food journal and learning… like dedicate a part of your life to really mastering nutrition and health and figuring out what the best foods are for your body. I’m 39 right now, and I think I’ve finally just figured out after so many years of practicing this. Probably about the last seven years now, about seven years of learning about nutrition and health and individual biochemical profiles. Finally feel like I know what the right eating style for me is. And it’s basically very close to what I’m showing right here. This is a very effective nutritional protocol for tapering, and far beyond and for a lot of people this works really well for. So, here are my favorite foods for tapering off methadone. Wild blueberries, raw organic coconut water. So, the wild blueberries are very high in anthocyanins. If you can’t find wild blueberries, the next best is organic blueberries. They’re high in a water-soluble antioxidant called anthocyanins. Raw organic coconut water is very high in potassium and other natural electrolytes. Hawaiian spirulina is really good for detoxifying the body and for energy production. Grass-fed beef is just an amazing source of protein and mental health. Wild Alaskan sockeye salmon is a very good source of protein and mental health. Pastured eggs are great protein. Organic broccoli is one of the best vegetables absolutely in the world for tapering off methadone. So these are the absolute best ones. If you can go to the grocery store and get an abundance of these and eat these on a regular basis, this is gonna help you so much. And also organic 85% dark chocolate. What that does is that increases your endorphins, it’s a very rich source of natural magnesium, and it also has something called theobromine in it, which is a lot like caffeine. It’s got a tiny bit of caffeine, and it also has something called anandamide which is a mood booster. And if you want to learn more about nutrition, I highly recommend the books Genius Foods and The Mood Cure to learn all about nutrition for brain repair. Finally, the third element of the Key 3 for methadone tapering is exercise. Exercise increases more than just your endorphins and enkephalins, which are the natural painkillers. Everyone is… most people are aware that exercise increases endorphins. But not a lot of people know that exercise also increases dopamine and serotonin and GABA, oxytocin and Brain-Derived Neurotrophic Factor. These are all very beneficial for increasing your neuro-vitality. So, when your brain health has an abundance of all these neurotransmitters and BDNF and hormones and all these other things, you feel good. When your brain does not work right, you do not work right. So, exercise is very important and when it comes to the best types of exercise, it really comes down to your individual biochemistry, number one. And number two, what you actually enjoy doing. I always recommend people do types of exercise that they enjoy doing because when you enjoy it, you’re gonna be much more likely to stick with it. So, here are just some of the most common ones. But there are so many different forms of exercise, like even gardening, you know walking, those count as exercise too. My body responds best to things like swimming, surfing, and weightlifting. Those, what I’ve out of all the things I’ve tried my biochemistry, my body responds best to those. But very important to exercise at a minimum of three days a week and preferably a little bit more. Even if it’s just things like going for a half-hour walk you know. When you’re tapering off methadone, you have to be doing some type of exercise. Even at the bare minimum if you’re just going for a few walks per week. Make sure that bare minimum you’re going for some walks.